Convenient convention hotels, charming boutique guest houses and entire apartment rentals are a few lodging options that will make planning easier for student groups traveling to Rome. When planning a trip to Rome, student groups will have to evaluate their priorities when choosing accommodations. Location, price and size are perhaps the most important aspects to consider, and finding all three may seem like an impossible feat. Outlined below are several different accommodations options for traveling student groups in the Eternal City that take into consideration the most important planning requirements for large groups. The following suggestions should guide student groups in determining what they value most when choosing lodging, and how they can go about reserving their accommodations in Rome. 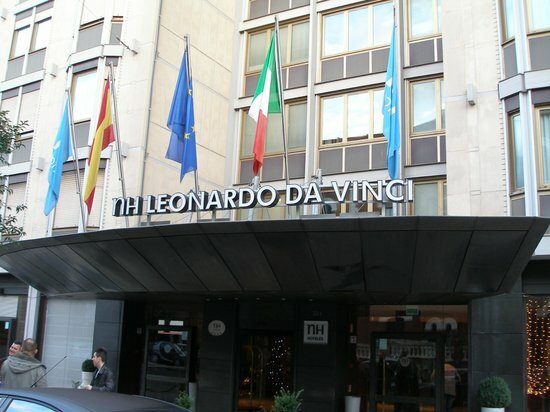 NH Roma Leonardo da Vinci. Credit. While staying in a large convention hotel is disputably the most boring option for student groups traveling to Rome, it may be the most practical. With modern amenities and hundreds of available rooms, chain convention hotels provide the easiest route when planning lodging in the Eternal City. Despite their convenience, convention hotels could come at a hefty price and due to their size, may be located on the outskirts of the city and away from popular tourist attractions, making it a hassle for large groups to travel to and from their hotel. Luckily, there are a few convention hotels in Rome with prime locations and reasonable prices. With five different hotels conveniently located throughout Rome’s city center, NH Hotels make it easy for student groups to explore every corner of this emblematic ancient city. NH Collection Roma Giustiniano and NH Roma Leonardo da Vinci each offer student groups an ideal location near Vatican City, and are walking distance from popular attractions such as Sistine Chapel and St. Peter’s Basilica. If looking for a convention hotel with the best modern facilities, NH Villa Roma Carpegna features a large outdoor swimming pool, free parking, a gym and several meeting rooms. If student groups are arriving to Rome from Roma Termini train station or plan on taking day trips during their stay, NH Collection Roma Palazzo Cinquecento and NH Collection Roma Vittorio Veneto are situated nearest to the train station. For more detailed information on Rome’s NH Hotels, click here. Another fabulous convention hotel for student groups is Rome Marriott Park Hotel. This option is more affordable than the above mentioned NH Hotels and although it is located slightly on the outskirts of Rome, is only a 15-minute drive from and almost exactly between both Leonardo da Vinci-Fiumcino International Airport (FCO) and Ciampino-G.B. Pastine International Airport (CIA), a convenience student groups may want to consider. Amenities at Rome Marriott Park Hotel include 24-hour room service, airport shuttle services, safety deposit boxes, internet access, air conditioning, on-site parking, an outdoor swimming pool and a fitness center. Surely the most charming and desired form of accommodations for a student group trip to Rome are the city’s quaint boutique guest houses. Usually, boutique guest houses aren’t able to accommodate such large groups, but we’ve found a few that can. Tritone Top House is situated walking distance from both Trevi Fountain and the Spanish Steps. Offering elegant, air conditioned accommodations with free Wi-Fi, the guest house also offers private shuttles to and from airports and train stations throughout Rome. Tritone Top House features eight different apartment-style lodgings that can accommodate up to nine people per room. Other top notch amenities that vary depending on the chosen room are maid services, towels, free toiletries, kitchens, refrigerators and parking spaces. Several of the rooms also include terraces with breathtaking views of the Eternal City, a feature unique to Rome’s highly desired boutique guest houses. To reserve rooms at Tritone Top House, visit their website. Similar to Tritone Top House, Golden Ratio also has a number of apartment-style rooms that can house up to 13 guests. Located in the Central Station district of Rome, Golden Ratio is a kid-friendly guest house serving free Italian breakfast and featuring amenities such as luggage storage, cleaning services, city views, an on-site ATM machine and wheelchair accessibility. This guest house is ideal for younger student groups and is accommodating to children, something that can be hard to come by in boutique guest houses. To make a reservation, head to Golden Ratio’s Booking.com reservation page. As mentioned above, it may be difficult to find those desired, charming Roman boutique guest houses that can accommodate a group of 40 to 50 people. Although they exist, student groups may still run into booking and availability issues if traveling during high tourist seasons. Similarly, while convention hotels undeniably provide the quickest and easiest route for lodging, it could be incredibly costly. As an alternative for lack of space at boutique guest houses and high prices at convention hotels, we suggest renting out entire apartments. If traveling student groups contain 40 or more people, they’d likely have to rent between five and 10 rooms at convention hotels or boutique guesthouses. If student groups can find apartments that house up to 15 or so guests at once, they’d only have to rent out three entire apartments, thus tremendously cutting costs for large student groups. Located in the heart of Rome in the historic area of Campo de Fiori, Baullari Apartments couldn’t be a more perfect fit for student groups. 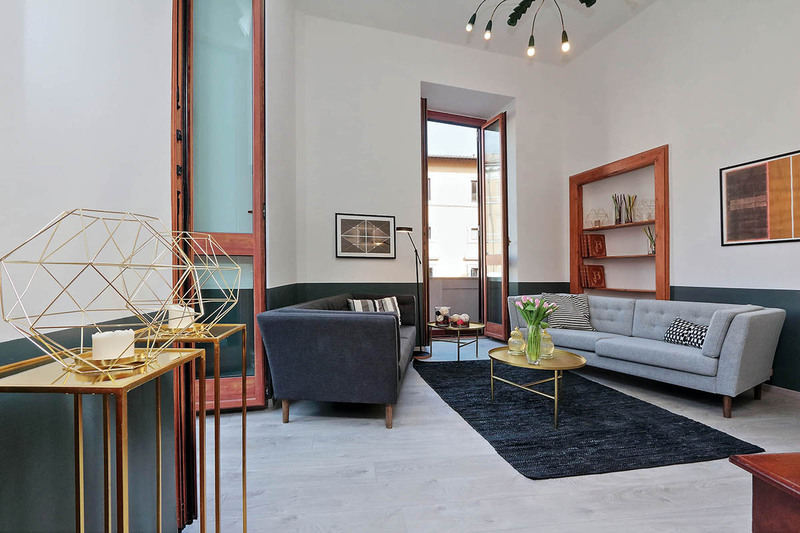 With three large apartments at 220 square meters each housing up to 15 guests per apartment, Baullari Apartments feature two floors, five bedrooms, four bathrooms, two double sofa beds, a sitting room, dining room, two balconies and an elevator. With free Wi-Fi, air conditioning, a kitchen and washer, each apartment truly provides all the necessary amenities for student groups in Rome. Choosing an apartment for large student groups is an excellent alternative and may be the best bet in terms of reaching all accommodations requirements. To search for more available apartment rentals in Rome, click here and here.